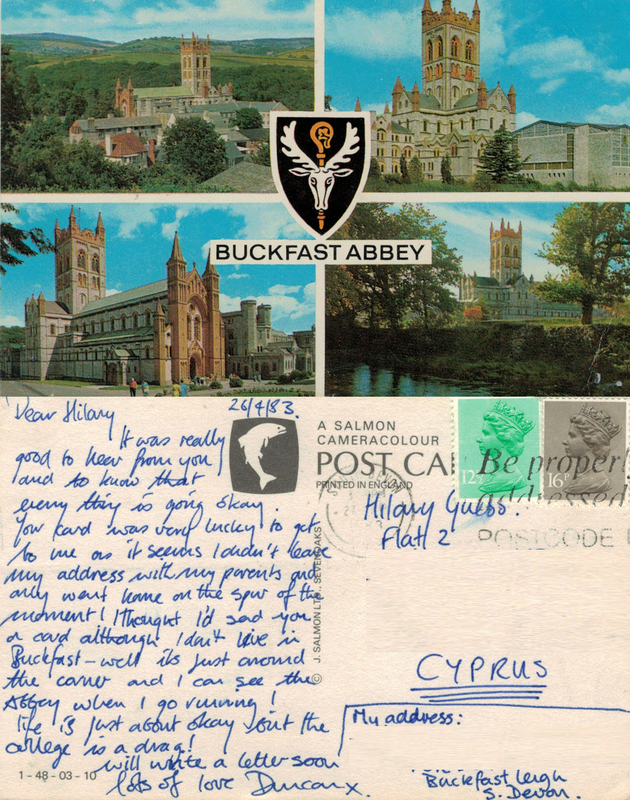 This entry was posted in Friendship, Life Path, Memorabilia, Nostalgia and tagged 6th Form, Buckfast Abbey, Devon, friends, history, maths, Nostalgia, postcard, snog, snogging, teenage. Bookmark the permalink. Haha! I lived in England over 20 years ago so I’m totally out of it when it comes to slang!